ampulets' product label Neighbourgoods launched Good Sweat #2-6, a collaborative project with 4 other creatives. ampulets art directed and designed the Good Sweat packaging and identity, promotion images and display at Sunny Hills. 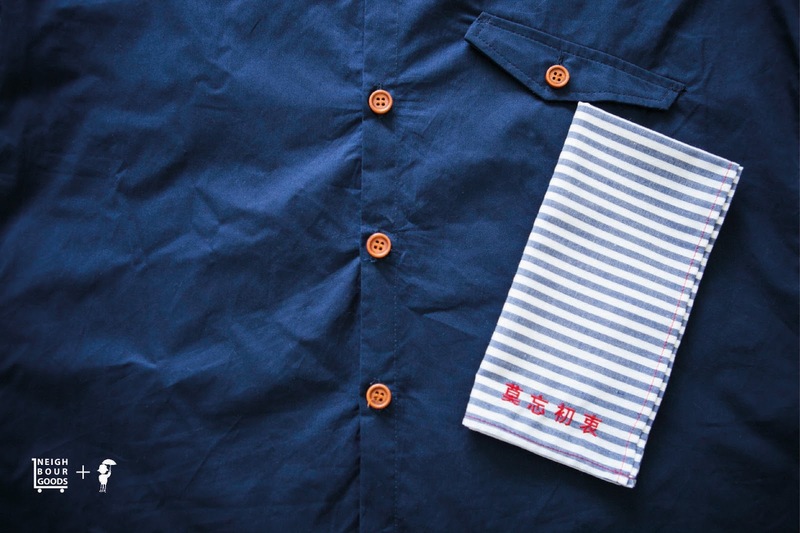 Folks who use a handkerchief are rare today, even if its usefulness and significance in today's use-and-throw culture is something many can appreciate. As such, with the art direction for Good Sweat #2-6, we wanted to bring out the character of each fabric and extend its tactile quality. 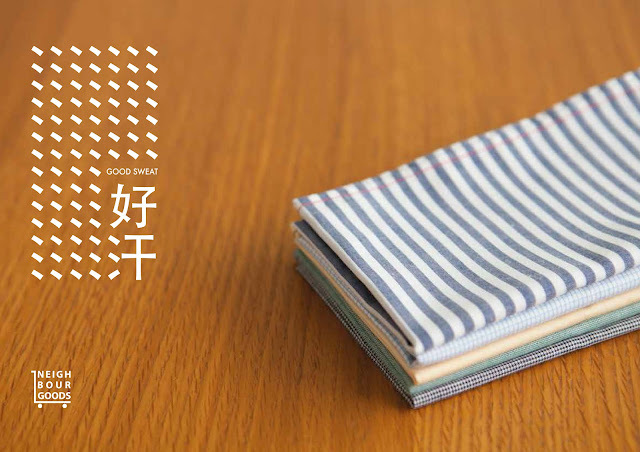 We also wanted to place handkerchiefs not only as utilitarian objects, but also as extensions of one's wardrobe and identity, a personal object that you always place close to you. 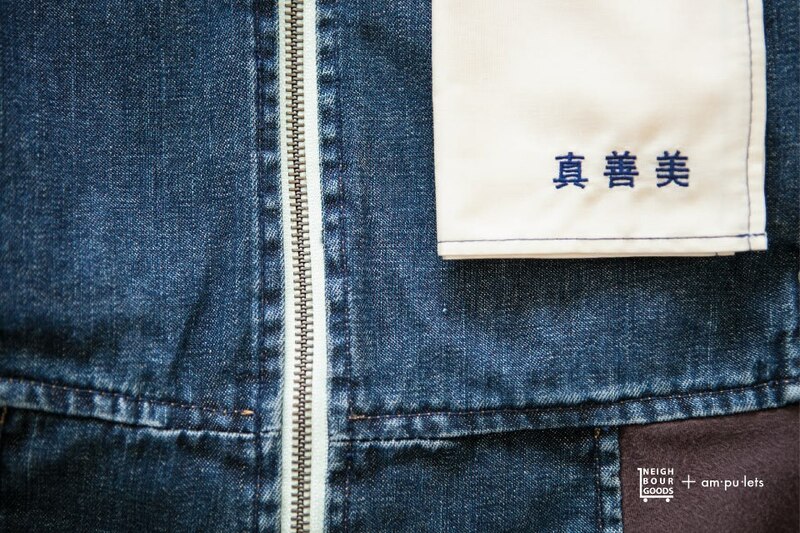 Working with a bespoke tailor in Singapore, we selected each fabric and embroidery thread to also reflect the spirit of the phrase from each of the 5 creatives, and what we knew about each of them. 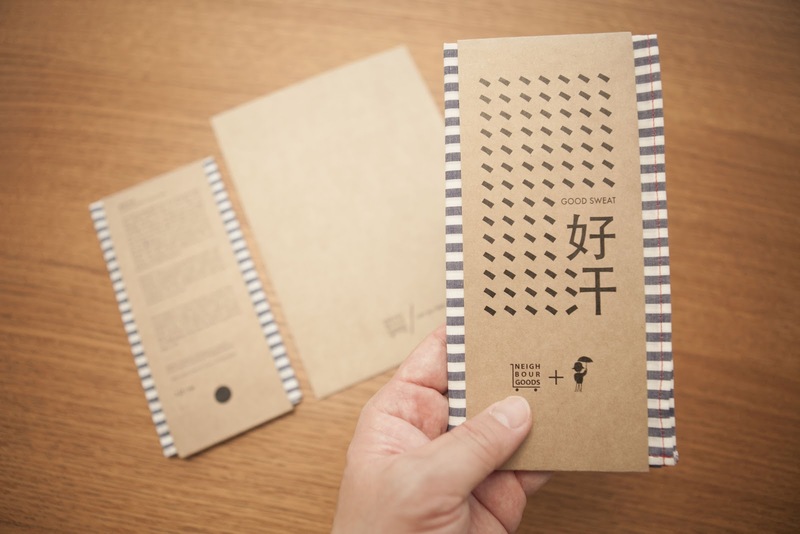 Rebecca Toh/Casual Poet's childlike independence and wanderlust warranted a sailor's stripes. Bob Lee/The Fat Farmer's call to build one's dream was a gardener's green on architectural squares. 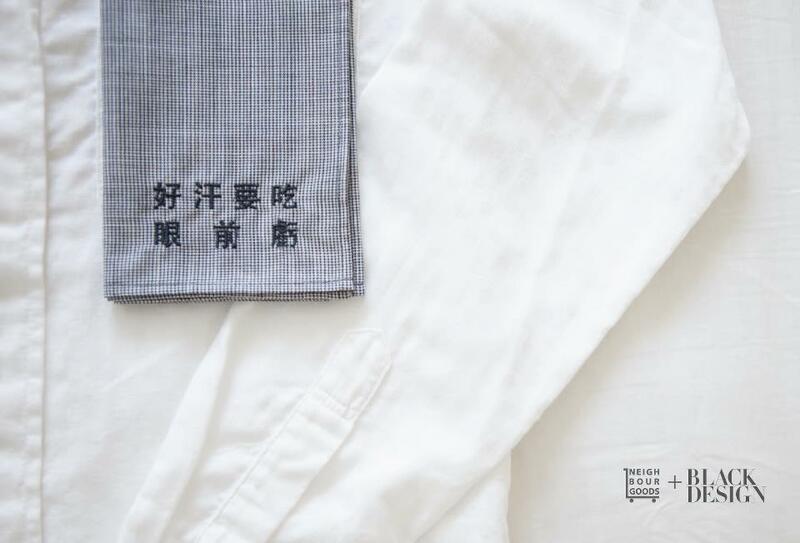 Jackson Tan/Black Design's re-writing of a hero's creed to risk an immediate loss for the bigger picture is gunmetal grey on a fine hounds-tooth fabric. 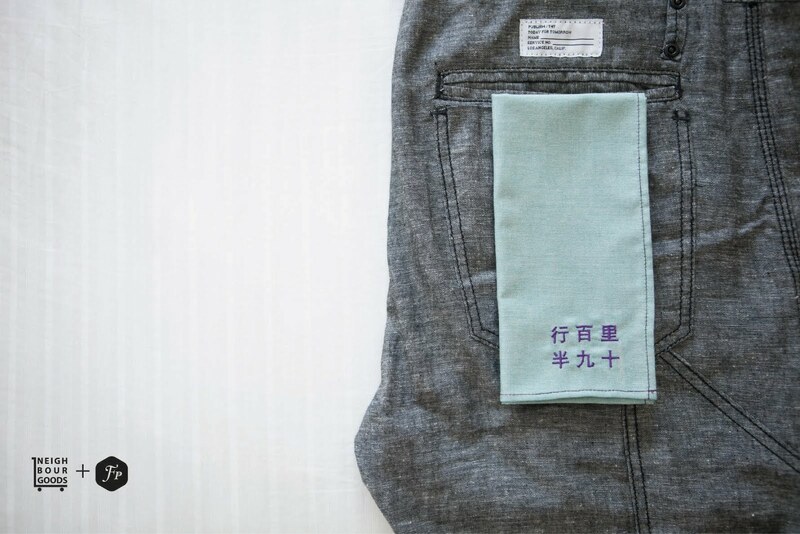 Yah-Leng Yu/Foreign Policy Design Group's reminder to persevere and finish well is bold violet embroidery on a tough oxford weave. James Teo/ampulets' old-fashioned celebration of truth, goodness and beauty as an end to all that we do, felt right with a delicate poplin weave in mandarin and classic navy. 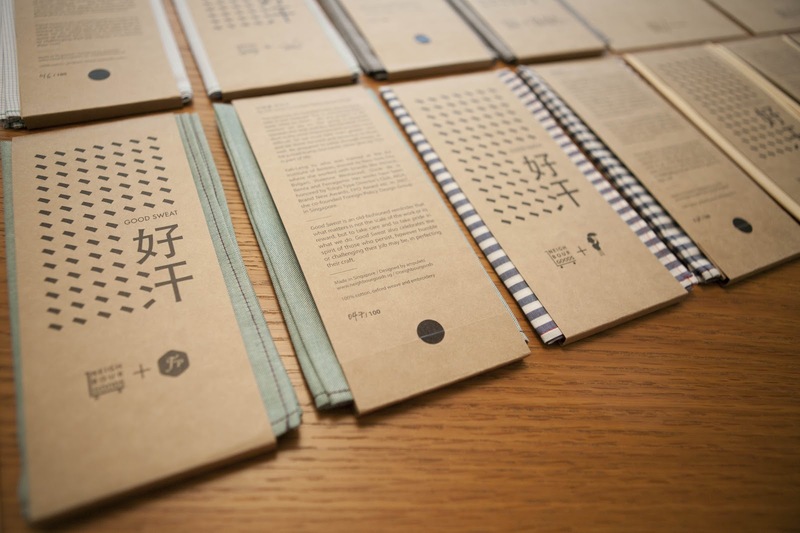 The packaging and identity was a refresh of the first Good Sweat project in 2010. 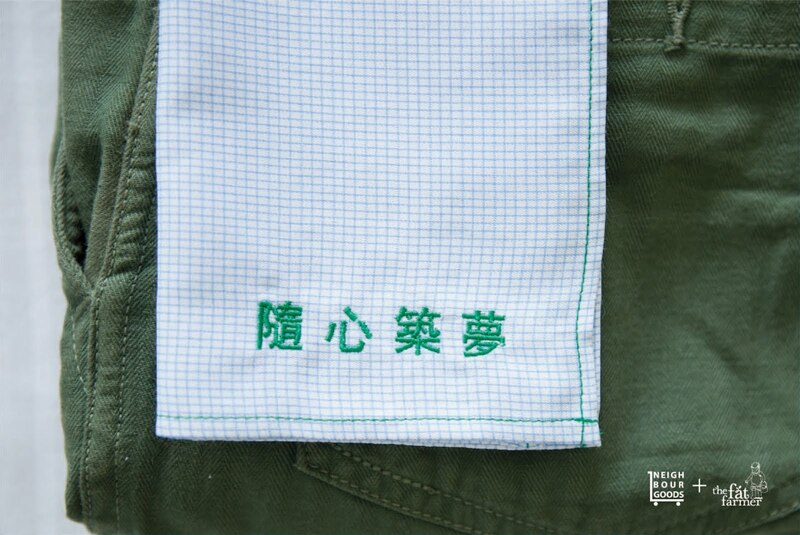 Playing with the Chinese type for "sweat/汗", we extended the symbol for water to create a pattern of sweat droplets. For more about the inspiration behind each phrase, the launch event, news about Good Sweat and how you can get your hands on one, head over to the Neighbourgoods website!